I am not an expert but these are the things I learned from my own experience. 1. Consult an expert: Hire a coach or join running clinics. It’s good to learn proper running form and technique early on because it’s harder to unlearn poor running form and proper technique will make running more enjoyable. Also, a good coach can share his personal real-life experience that we don’t read in books or in the web. He can be a great motivator and the knowledge we gain from him will help us reach our goals. Coach Patrick teaches us the correct running form. 2. Take baby steps. It’s ok not to join the mad rush to cover longer distances. Listen to your body, you will know if and when you can run longer. 3. Monitor your progress. Keep a journal so you will know your weak points and address them on your next run. 4. Buy the correct running shoes. Not all runners have the same gait and there is no one perfect shoe for all runners. We should get ourselves fitted with the correct shoes to prevent injury and for top performance. Running complements weight loss, but it’s not the complete answer. We still have to watch what we eat! I think this is the most painful lesson I learned. 6. 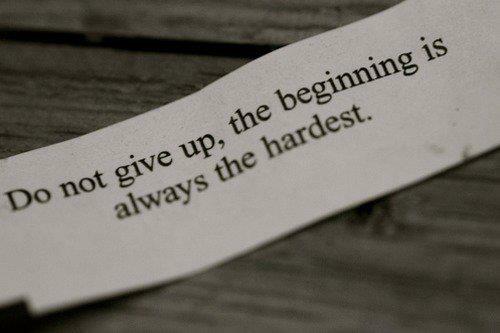 Don’t give up. Sometimes when motivation is low, we just have to get up and keep going. Think back and remember why you started running. It should get you back on track.